トモエサヴールは株式会社トモエサヴールに法人化致しました。TomoeSaveur changed Types of companies, office to company limited. We have changed our Types of companies. Office TOMOE SAVEUR to TOMOE SAVEUR Co.,LTD on 13th Sep 2017. The name of origin, “TOMOE” means Japanese symbol of TOMOE. It seems 3 elements related each other and turned around.We can find this symbol at many places in the world from ancient times. I mean this symbol as mind, body, earth., or, maker, connecter(us), consumer. We love to delivery quality food (SAVEUR =taste) good for all of these 3 elements. and We never stop to evolve, we continue to learn about the products and behind stories, ingredients detailed information, and telling the maker’s passion to the consumers. and also we will feed back about the consumer’s voice to the makers. We would like to make a good circle each other. We have great respect what all our partners make. And Our team are excited to have experience with all our partners and guests through the special products! Mr saegusa & his employees. 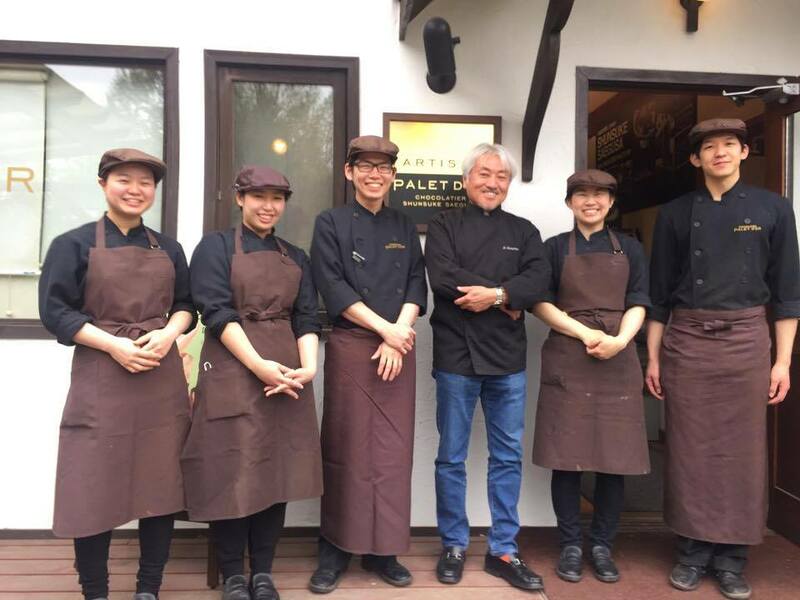 I had visited “ARTISAN PALET D’OR” in Kiyosato Plateau on 8th MAY. 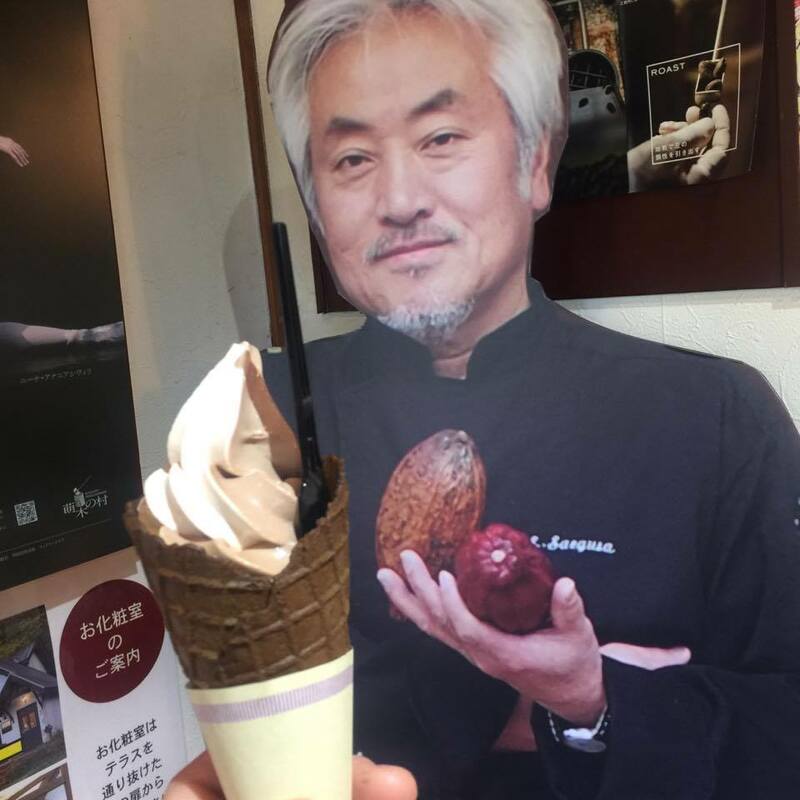 Owner chocolatier, Mr. Shunsuke Saegusa had almost 30 years experience of chocolate. 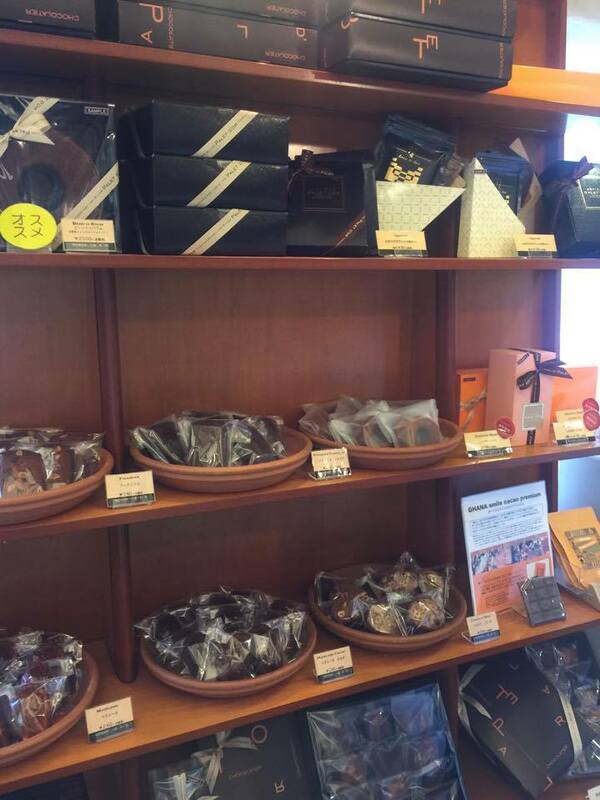 He has chocolate shop in Osaka and Tokyo. His specialite is same as shop name, “Palet d’or”. He has experience to work at Bernachon in Lyon.this is omage to Maurice Bernachon. 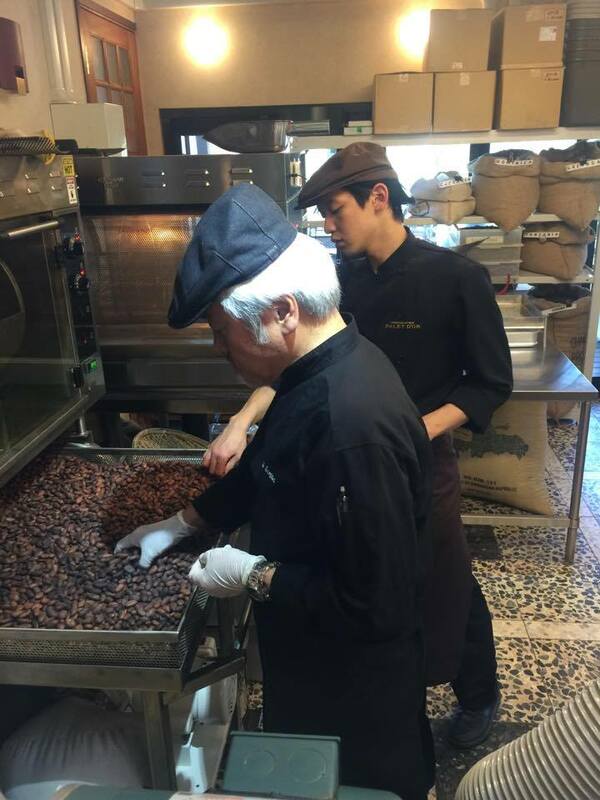 Originally he had managed ARTISAN PALET D’OR as cafe since 1994, then he changed here to bean to bar factory and cafe since 2014. Kiyosato Plateau is foothill of Yatsugatake , beautiful resort area. (We can see Mt. 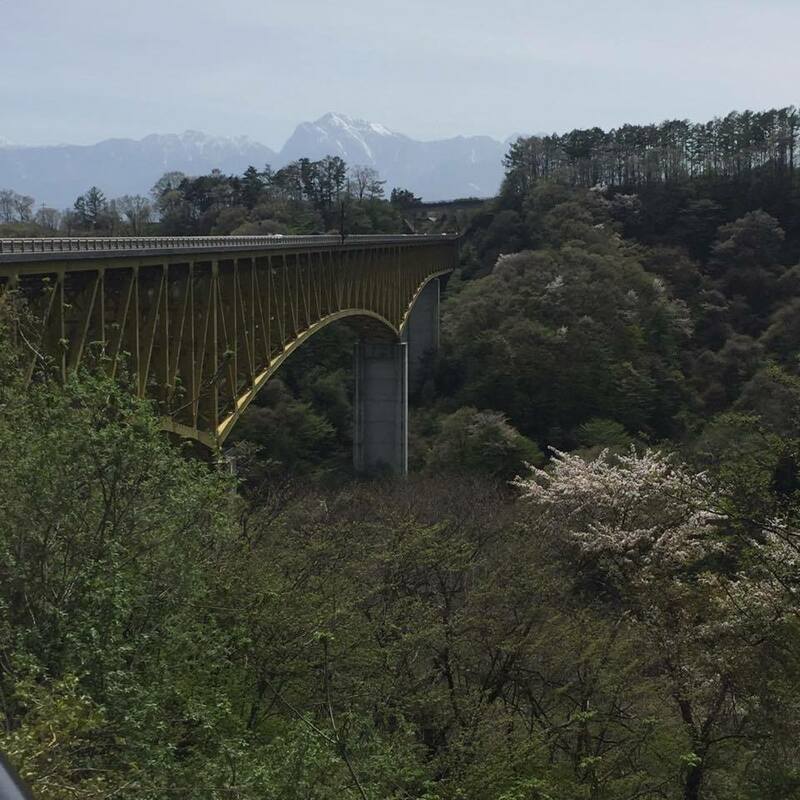 Fuji as well) here is very cool place because of around 1000 -1400 meters above sea level .There is no building around their factory, so they don’t need to worry about big sound of winnowing. That’s perfect place for making bean to bar chocolate. shop likes mountain hut. the center is shop, left side is factory. There are many kind of single origin bean to bar chocolate. 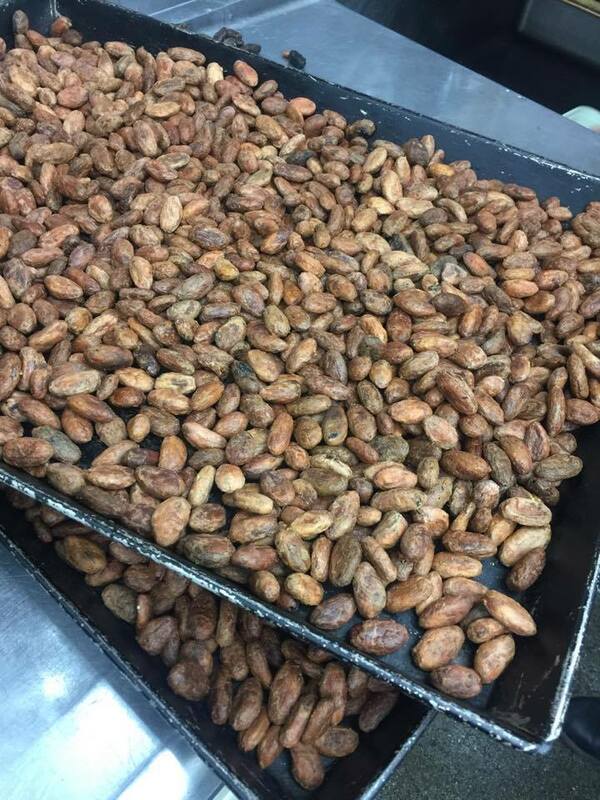 they use their original bean to bar for their bonbon chocolate, gateaux. 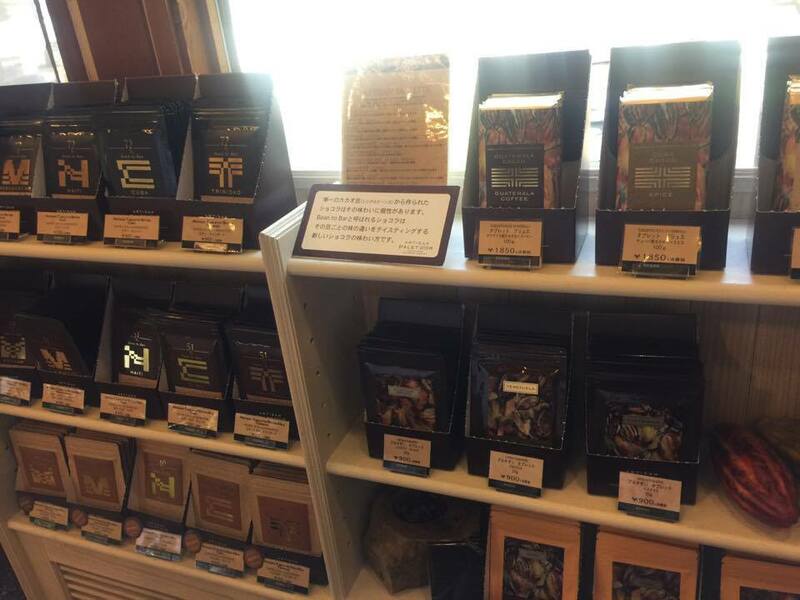 Now, there are almost 50 bean to bar brands in Japan, and I think the number of bean to bar brands is increasing more and more. But almost bean to bar makers don’t has experience to work at Patisserie or Chocolaterie, mostly they start bean to bar makers from different type of business. And most company is very small type of business. ARTISAN PALET D’OR is one of biggest artisan bean to bar chocolate brand. They use chocolate around 10-15 tons per one year. Mr saegusa originally use existing couverture, like DOMORI, Valrhona. But he couldn’t be satisfied not only those for making his creation. That’s leading to making bean to bar for his creation. But that’s not easy. Because this means their works will be twice. But he had decided to do that. There preparation of making bean to bar. 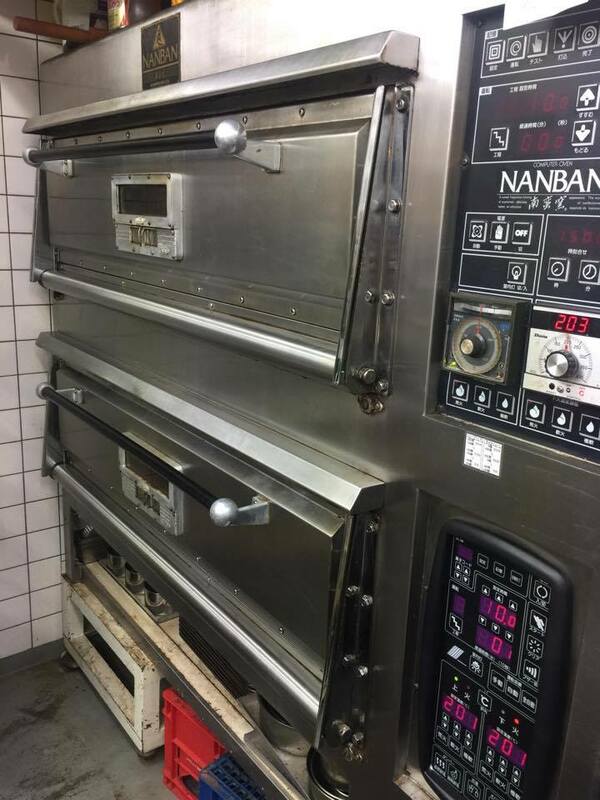 He selected beans, picking up bad beans, then, beans are going to washing machine！After washing, they picked up bad beans again, and put in the oven just for drying. Why washing- due to reduce the numbers of bacteria . 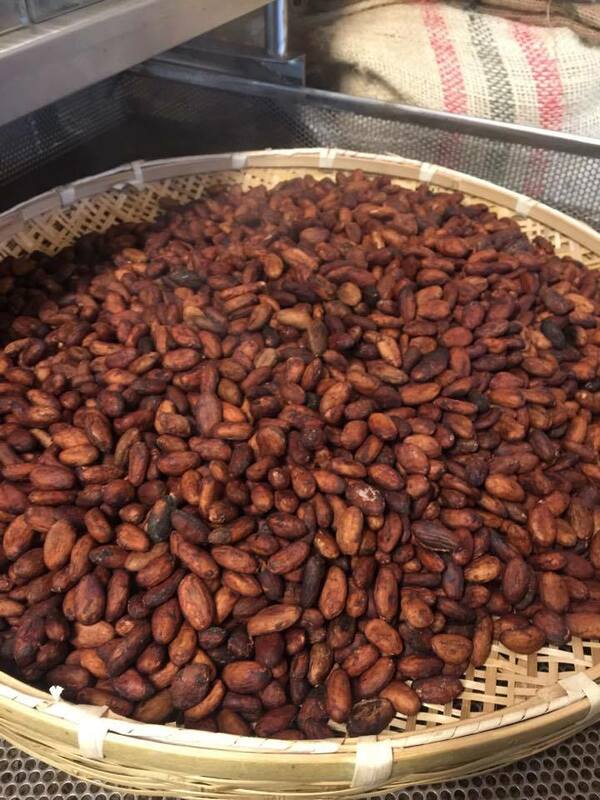 There 1 batch=４５ kg, they roast each 12kg of cacao beans 3 times as different temperature . This is for making more complex flavor.They try and error again and again. after bad result ,they changed receipe. they had started from receipe A. and now, their receipe is becoming version V. Mr saegusa was smiling and saying after version Z, how to count the number of version?! Their challenge for making perfect taste goes on. Don’t miss it! 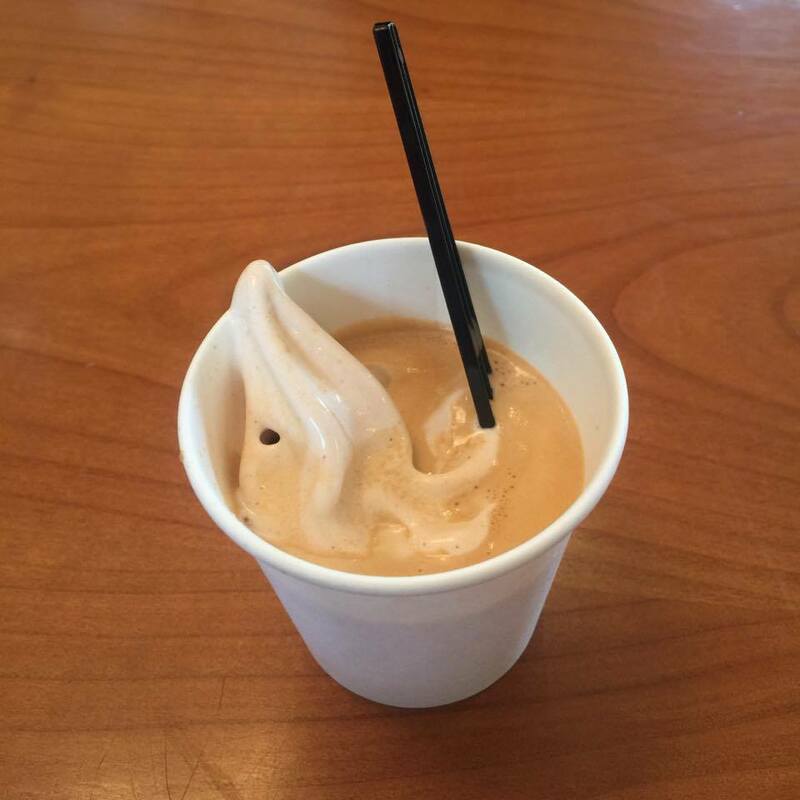 Rendezvous is cacao taste soft served ice cream! Yummy! They use powdery cacao beans into this ice cream. That’s why it has real cacao taste. Kiyosato is good access from Tokyo. 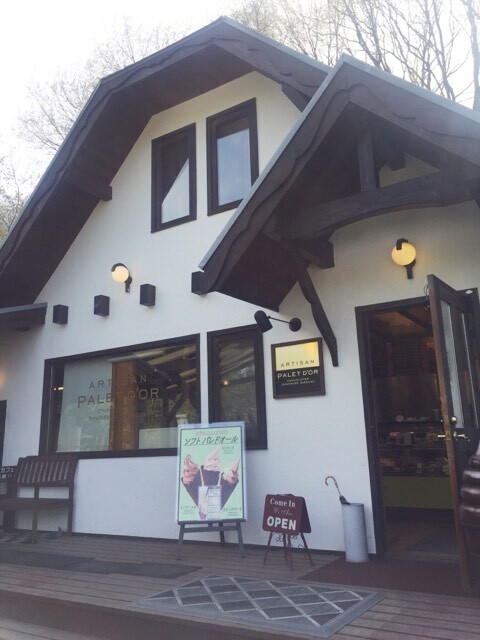 Almost 2 hours by train, you can move from city to nature.If you have any chance to visit Tokyo, I recommend to stay 1 night in Kiyosato and of course, stop by ARTISAN PALET D’OR. Takeout&café　you can see factory through the windows.